Otis the robot is excited; we're packing him up and taking him to Newcastle. 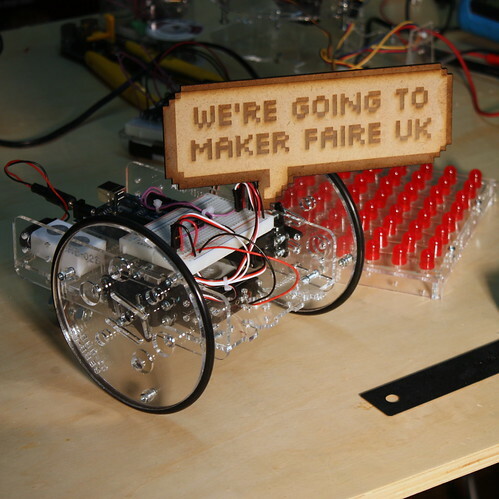 That's right Otis along with the rest of oomlout will be attending the Maker Faire UK on March 14th and 15th (for all the details). Swing by and see us. We have yet to confirm a table but pending that we will be bringing loads of fun projects and general good cheer.